If you are just starting to experiment with printing your own photographs, there are plenty of cheap starter kits and enlargers available on eBay and photographic shops like Silverprint. Many of them come from Eastern Europe and Russia. They are perfectly acceptable and do the job. If you are ready to move up to the next step then I can heartily recommend the Durst I use. It is sturdy and well made and very reliable. I have no idea if Durst still make them or how much they cost as I bought mine at least fifteen years ago, but a small amount of research should give you a pretty good idea of what is available at the moment. I use a Hoya Super EL 50mm f2.8 lens on it which does the job perfectly well. As with a camera, it is worth spending slightly more on a lens as it is this that will add the most to the quality of an image. 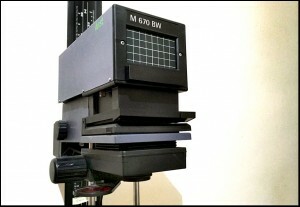 The one thing you want above all else in an enlarger is a strong sturdy base and column. The last thing you need is for it to wobble and move if you graze it accidentally while working on a print. Make sure the head can reach a good height, so you can print up to decent size. Also make sure you can rotate the head so you can project onto a wall if you do want to enlarge even more. You also want the head to hold its position. You don’t want it to start slipping down the column in the middle of a print. 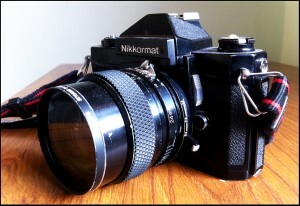 Check the lens as you would for a camera lens (see separate article) for mould, scratches or chips in the elements. Again, the wider the aperture the better. Also check the mirrors in the enlarger in the same way. Another thing to bear in mind is that traditional light bulbs over 100 watts have been banned in the last couple of years. I am not sure what will happen once specialist suppliers run out (I will do some research and find out) but for this reason it may be good to make sure there is a bulb supplied and what bulbs it takes (size and fitting – bayonet or screw). If buying a modern bulb, make sure it fits into the space and that it comes on spontaneously to it’s full brightness with no flickering or warming up.